For more than 30 years we have been at the forefront of innovations in the asbestos removal industry. 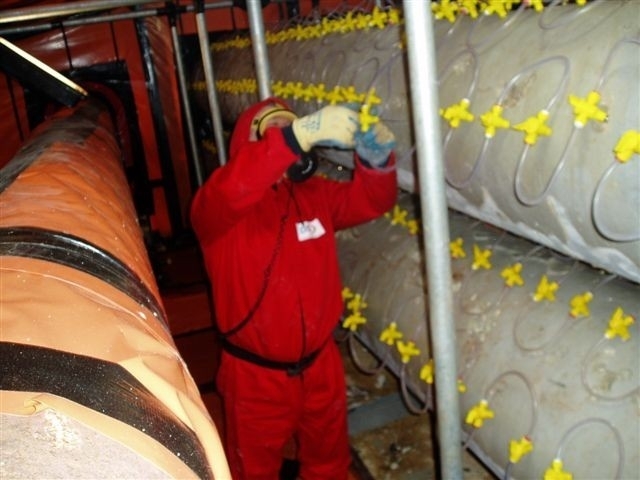 Before Asbestostrip was formed, all asbestos removal was undertaken by dry stripping, or even high pressure water jetting. Seeing the health hazards to both operatives and the wider public by using this method, Graham Gwilliam developed and patented a system to deliver wetting agents directly into the Asbestos Containing Material (ACM) using a fully controlled injection delivery system, and thus Asbestostrip was formed. 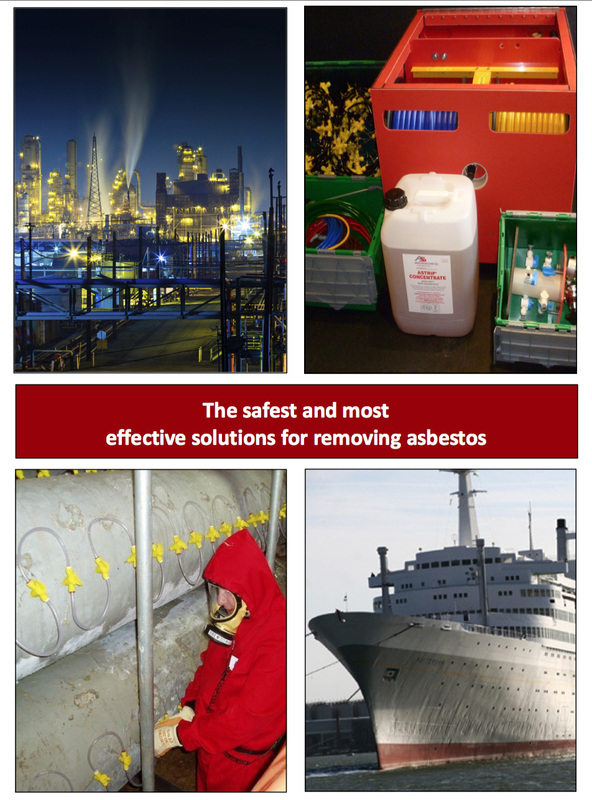 Although over the years the Safestrip System (’Red Box’) has been ‘copied’, no other company has been able to stay at the forefront of the industry and maintain the integrity of the system that Asbestostrip has. The Safestrip System is still the only product that can respond to the conditions of the ACM at the point of delivery. 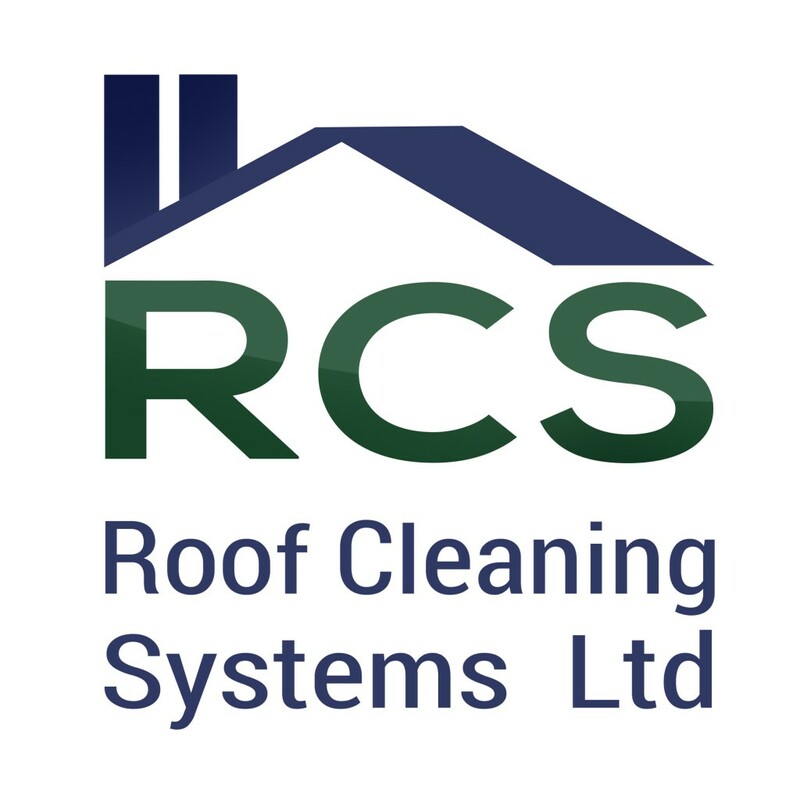 We understand the nature of asbestos, and know that it does not take up wetting agents uniformly. If there is leakage at an injection point the System can respond instantly by slowing down or even stopping delivery of the wetting fluid at that point, so there is no messy spillage to clear up. Operatives do not have to ‘measure out’ surfactant and water in order to mix it on site, the Safestrip System does it automatically, ensuring the correct concentration is always achieved without wasting operatives time. Operating from a simple mains water feed means there is no need to carry water to the unit. If there is no local supply then an Intermediate Bulk container (IBC) feed can easily be used to deliver the water as and when it is needed. Independent trials undertaken in France using the Safestrip System and that of a another system showed that the Safestrip System achieves a more thorough and quicker wetting with significantly less spillage, thus the Safestrip System provides a safer and more cost effective operation.